ProMediate offers a conciliation and mediation service to businesses in dispute with consumers. Ombudsmen generally make binding decisions, similar to the Court system. It is understandable that these redress models are not appropriate for all disputes, particularly when that involves a regulated business. 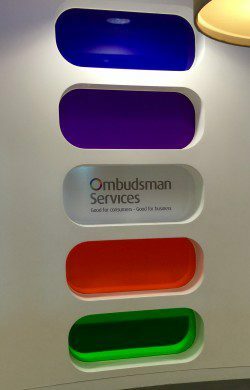 In those cases the consumer’s interest in obtaining just redress is of primary importance and so ombudsmen have been tasked with the job of dealing with complaints. The alternative is the Court. Take the energy industry for example. That is not to say that mediation cannot be part of the ombudsman service or that they cannot complement each other. Mediation can be offered first. If mediation or conciliation does not succeed, then a decision on the case can be made. This is the suggestion for the Online Court system being created by Briggs LJ. That said, with the Legal Ombudsman, ProMediate and other ADR entities can act as a preliminary stage as the client is always free to go to the Ombudsman afterwards if they remain dissatisfied. Mediation is therefore complementary to the Legal Ombudsman, particularly as the LeO has not applied to be an ADR entity itself. 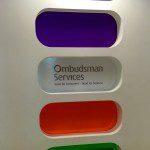 We can help the Legal Ombudsman by filtering out cases before they reach the Ombudsman or the Court.